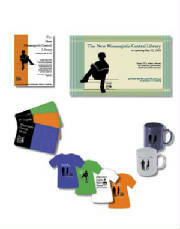 In my design work I try to create visuals that will help my clients achieve thier goals. 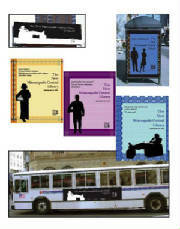 Here are some examples of graphic design projects. Click the image for a closer view. 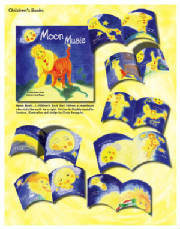 Moon Music children's book by Debbie Mastella-Sershon. 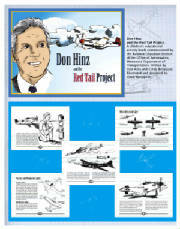 Don Hinz and the Red Tail Project activity book for children. 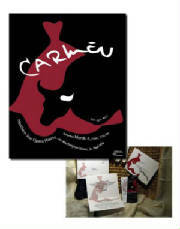 Concept art for promotion of the opera Carmen. 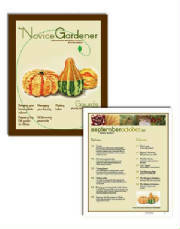 Concept art and design for a garden magazine. 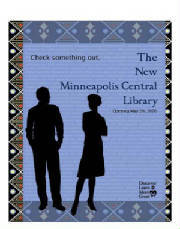 Concept for promotional materials to advertise the re-opening of the Minneapolis Central Library. 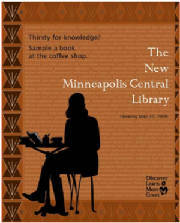 Focused on appealing to adults of many cultures. Concept for window posters advertising a clothing store sale. 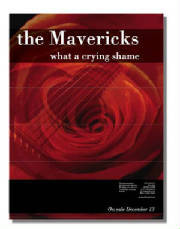 Concept for the re-design of a CD cover, insert, label and release poster. 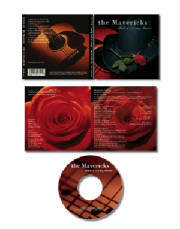 CD re-design concept, release poster.